Clarks Inn is committed to making a world-class hotel experience accessible to the value-conscious traveler. With a vision of redefining what inns have come to mean in India, we are single-mindedly focused on one thing – uncompromising care. Care for every aspect of the guest experience. Care for comfort and convenience. Care for detail. Care so that a guest is not just a room number, but someone we always enjoy having with us. 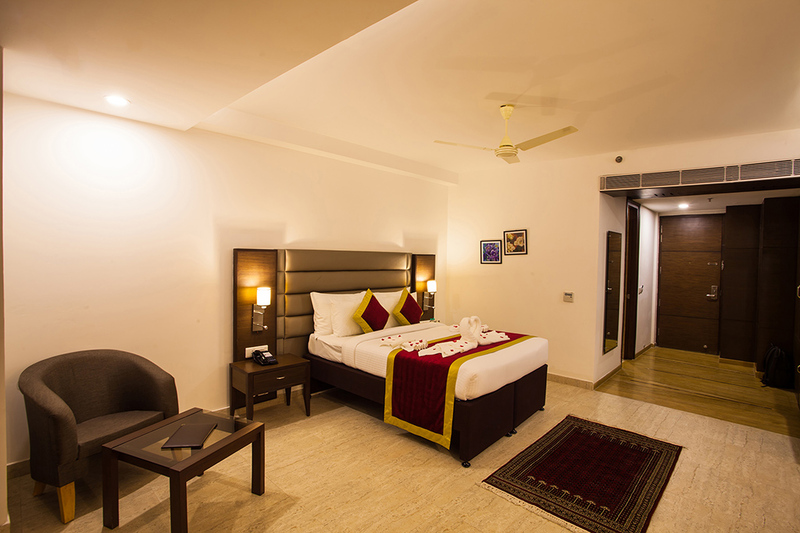 Our hotels provide services like Executive rooms, Banquet hall, and Restaurant for Casual Dinners. We take special care of every aspect of guest services and experience and a feedback is very important to us. The hotel offers a range of amenities and unparalleled hospitality. Zirakpur is a satellite town of Chandigarh. It is set on the foothills of Shivalik hills. Zirakpur is the ‘Wedding capital’ of the region. At the confluence of national highway no 21, 22 & 64. Its centrally located and well connected by air, road and railway which makes this a favorite destination for business and transit travelers alike. Velvet Clarks Exotica Zirakpur offers 54 tastefully furnished and comfortable rooms.All rooms have high-end facilities such as in-room entertainment through premium satellite channels,personal mini bar,tea and coffee maker,wi-fi connectivity,electronic safe and 24*7 room service.